Martin Davies, Associate Professor of Economics at W&L, gave the keynote address at the Certified Practising Accountants (CPA) Papua New Guinea Annual Conference in Lae, PNG on August 22. His talk was titled “Policy in Papua New Guinea: Recent Shocks, New Directions” and addressed the recent state of the Papua New Guinea economy. Highlights of Davies’ keynote address were posted in an article titled “Apec to deliver trade opportunities” in The National on August 29. The National is the top-selling newspaper in Papua New Guinea, headquartered in Port Moresby. 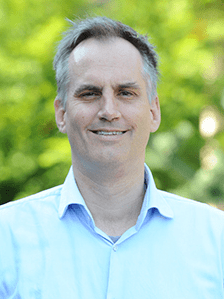 While currently on leave from W&L, Davies is Visiting Associate Professor at the University of Papua New Guina (UPNG) and a Visiting Fellow at the Developing Policy Center at the Australian National University (ANU). He is involved in the ANU-UPNG partnership, which has a focus on faculty strengthening, collaborative research and outreach, and faculty/student exchanges in economics and public policy. Davies is also hosting a weekly segment on National Broadcasting Corporation (NBC) Papua New Guinea’s DABAI Show titled “Understanding the Economy.” It will be broadcast nationwide on Tuesdays from 7:10-7:50 p.m. EST. The show welcomes callers as Davies discusses how the economy works and how it impacts daily lives. Callers from the U.S. are welcome to join the conversation by dialing +657 325 3339. Davies received his B.A. from Australian National University, followed by an M.A. and Ph.D. from Oxford University. He currently focuses his research on the macroeconomics of developing countries.